SEASON 2: THE MERCILESS GLADIATOR SETS! Rating requirements removed (Blizzlike change). Arena rating reset for PrimalWoW and TrueWoW. Season 1 weapons available at reduced cost from Area 52's Grex Brain Boiler. Season 1 armor sets available for honor points from Area 52's Big Zokk Torquewrench. Season 1 relics available for honor points from Area 52's Leeni "Smiley" Smalls. 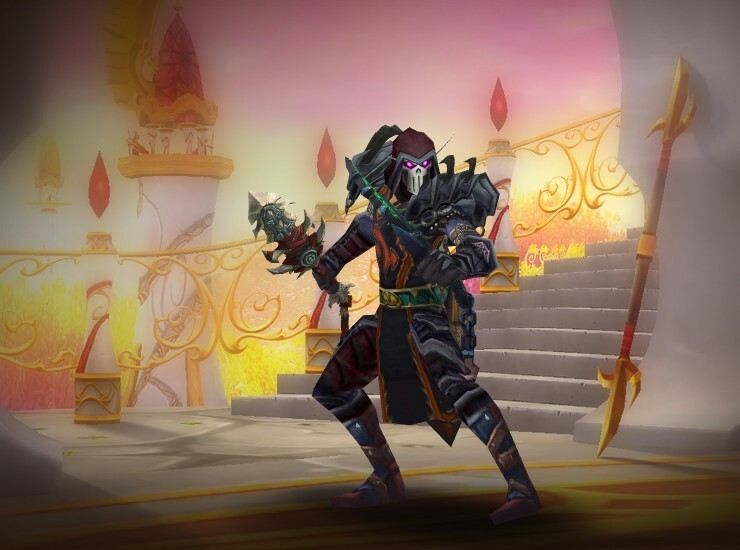 Season 1 accessories available from Outland Armor Quartermasters in Stormwind and Orgrimmar. Season 2 accessories available for honor points from Veteran Armor Quartermasters in Stormwind and Orgrimmar. All other Season 2 items available from vendors who previously sold Season 1 items. If you have any questions about the Season 2 release, feel free to reply to this announcement or PM natnat. All of this is coming on 10 January 2018. Be ready! I'm still a bit confused as to why rewards only gets handed out to 2v2 teams, and if the reasoning still holds for Primal. You wanna get rewards for those 10 games you won in 3s? I'm not eligible for it anyway according to the requirements, I was merely wondering why it was only 2v2 still. That change for 40% healer mana cost reduction has got to be nerfed to 15-25%. Im not sure whats going on, but right now healers especially palladins and druids never go oom and are full casting, it also seems to affect mages and shadow priest bubbles. just seems wrong to me idk, but something has to change.